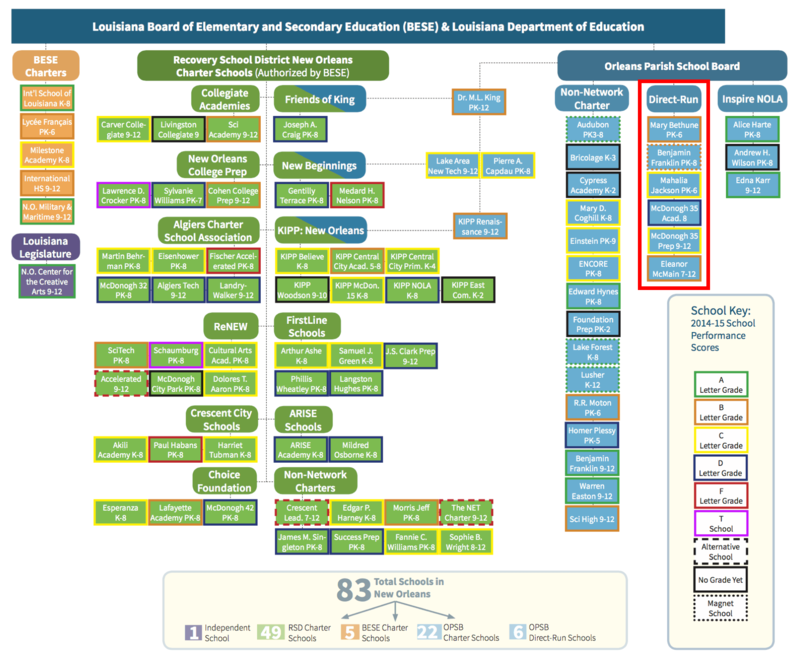 On Friday, Orleans Parish School Board (OPSB) Superintendent Henderson Lewis announced that he will turn New Orleans’ five remaining traditional public schools into charters by the start of the 2017-18 school year. Lewis will present his transition plan to the school board on Tuesday, although it will be little more than a formality. Under state law, opponents would need to muster a supermajority of five OPSB members to override his decision and insiders say the board is solidly in support of the proposal. Thus, if all goes as planned, New Orleans will be the first city in the country with an all-charter public school system. OPSB Superintendent Henderson Lewis talks to students. The announcement may come as a surprise to observers outside of the city. For years, journalists and commentators have made the erroneous claim that all of the city’s traditional public schools were turned into charters following Hurricane Katrina. The confusion stems from the fact that the state-run Recovery School District (RSD), which seized control of most of the city’s public schools from OPSB following the storm, became an all-charter district in 2014. Plus, many of the schools that escaped state takeover eventually chartered themselves as well, although a small, often-overlooked handful of traditional schools – Ben Franklin Elementary (a.k.a., “Baby Ben”), Bethune Elementary, Mahalia Jackson Elementary, McMain Secondary, and McDonogh #35 – remained under OPSB. Because those schools have generally performed well over the years (with the exception of McDonogh #35, which has struggled), there was little reason to change their status. 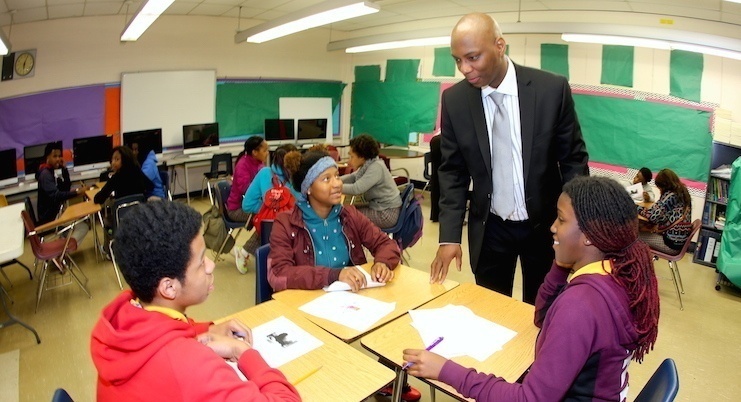 But now that the RSD is preparing to hand back schools to OPSB, it no longer makes sense for the district to directly run five traditional schools, especially since it’s in the process of restructuring to provide oversight to dozens of returning RSD charters. Of course, opponents of New Orleans’ charter-driven transformation are no doubt unhappy with Lewis’ plan, but if done correctly, the transition should proceed with minimal disruption to these schools and give them the autonomy that the rest of their peers already enjoy. It is – my bad, I didn’t realize until after I published. The strangest thing about this is that this picture is definitely from a Baton Rouge charter school.